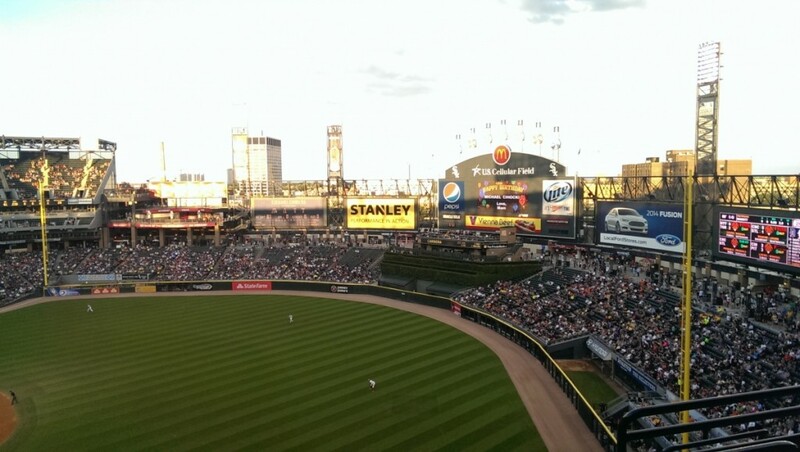 My quest to visit every MLB stadium continues and I have finally crossed a central league team off my list! 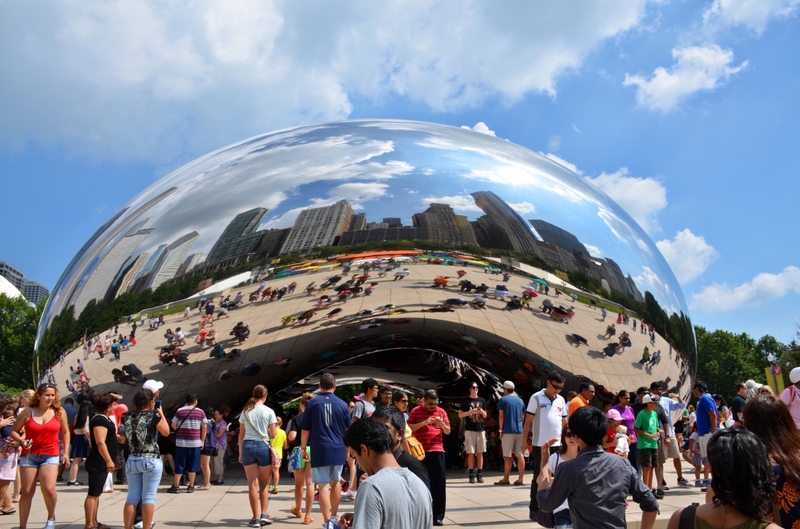 I spent Labor Day weekend taking a long overdue trip to Chicago to explore a city that I’ve been excited about for quite some time. I’ve flown into the city numerous times but always during the winter and never when I actually had any time to do the city any real justice. And every single visit prior to this one was outside of baseball season. Boo hiss. 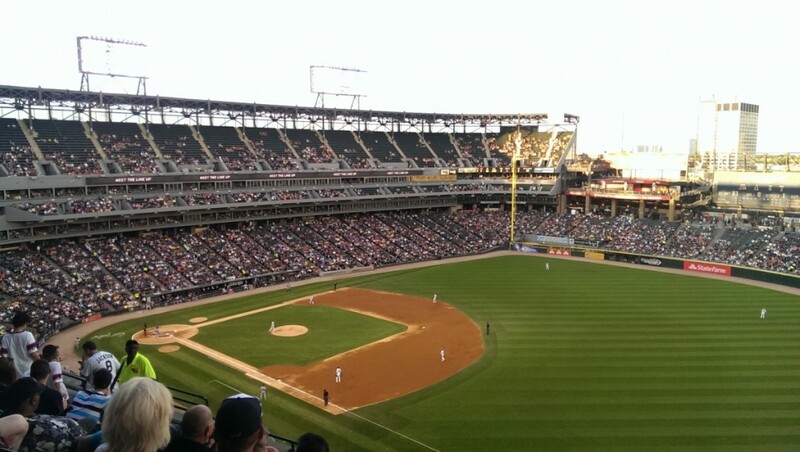 US Cellular Field is a pretty standard modern day ballpark. 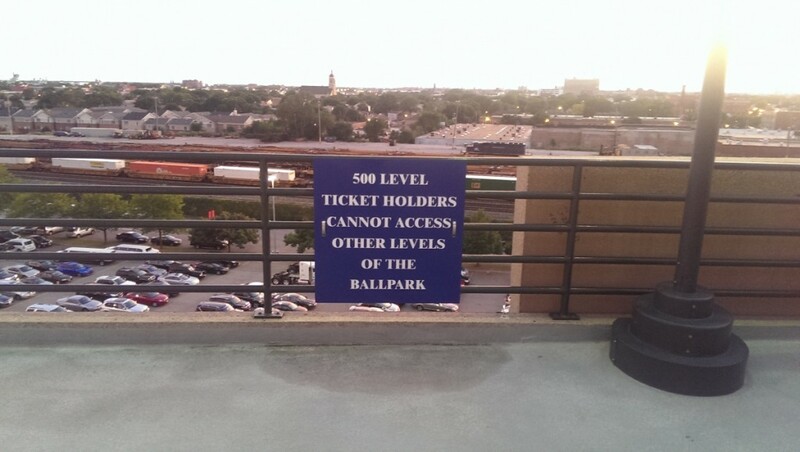 My only complaint was the fact that if you purchase an upper level ticket you’re not allowed to go down and explore the lower section of the ballpark. I’m guessing I could have found a way if I’d wanted to but I was tired from traveling and didn’t bother. I could see the kids section that they had out above left field and it looked like a nice enough setup, but not much else jumped out to me about the stadium. 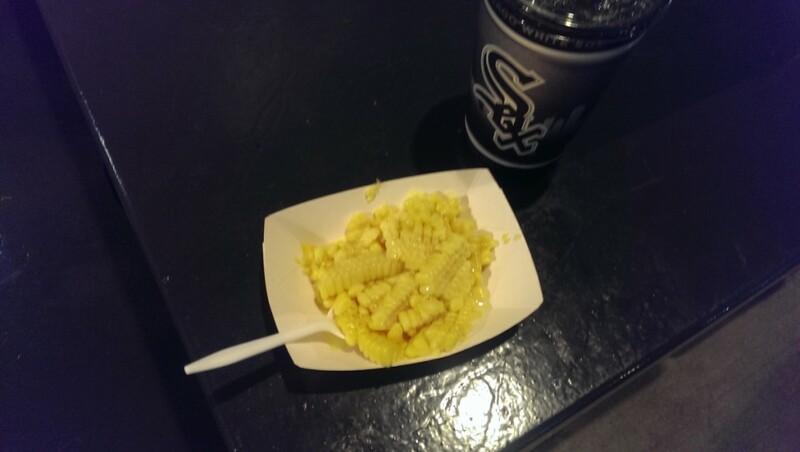 It is the only stadium that I’ve seen corn off the cob as a food cart option. They literally just take a corn cob, cut all the corn off, put what you want on it (they had a few different things) and that’s it. Surprisingly quite tasty. Since it was a Saturday evening they did fireworks after the game. I’ve seen the firework shows at Chase Field plenty of times and I’d guess that the White Sox fireworks show was about twice as long. Like Chase Field they also have video segments in between the fireworks but their setup was much more impressive than any of the ones I’ve seen at Chase. 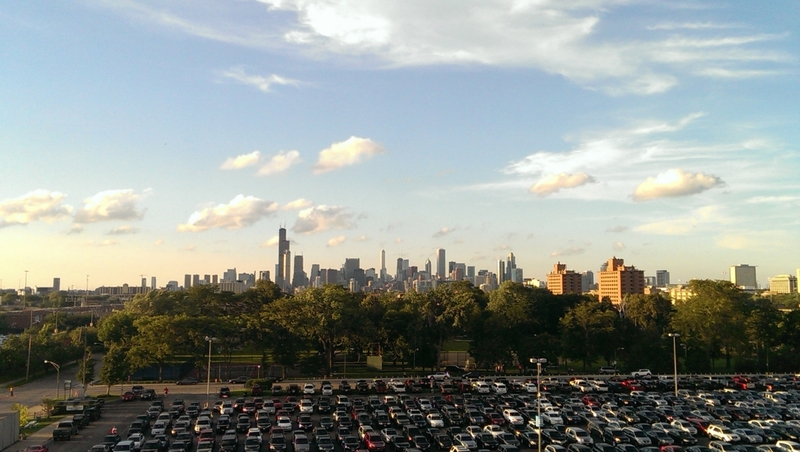 The view of the city from the upper part of the stadium was fantastic, so that made my upper level seat entirely worth it. 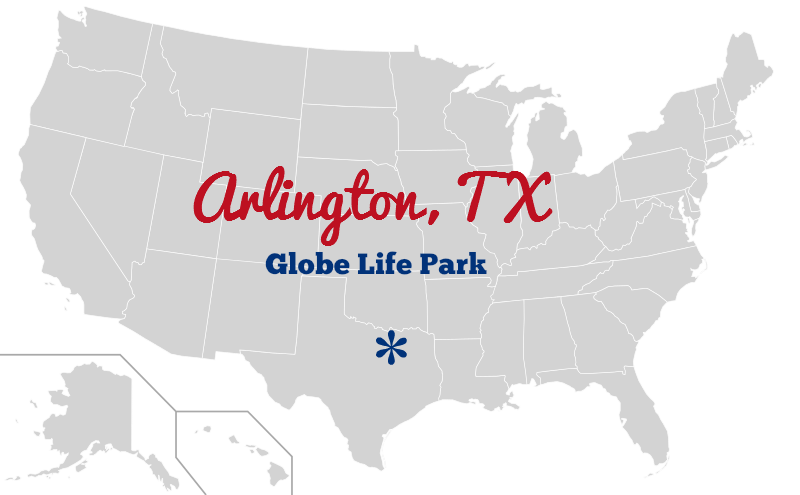 If you’re curious about what other MLB stadiums I’ve visited, here’s the complete list!